Gallop Equine has created a prototype of the SmartBoot, which is expected to retail for about $US1000. Sick of hearing that your heels aren’t down when you’re riding? Feeling like there are too many things to concentrate on at once? The answer may be here — almost. 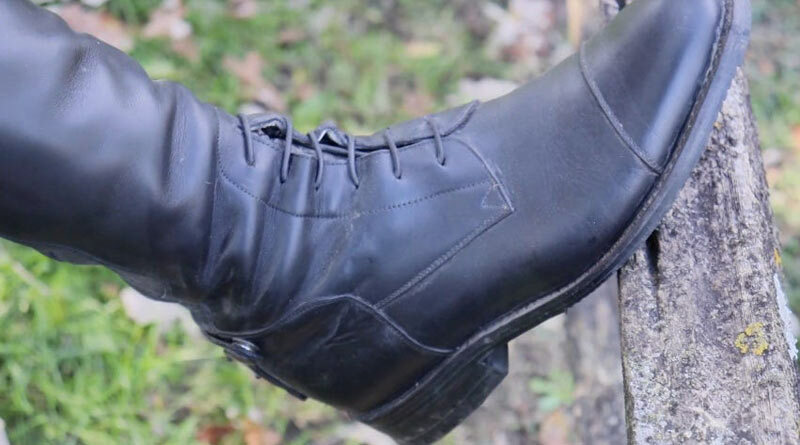 Intelligent riding wear in the form of Bluetooth-connected smart” horse riding boots that buzz the rider when their heel level goes above their toes is in development, with a Kickstarter campaign to help get the project going. The SmartBoot has been created by Gallop Equine, with the aim of helping equestrians correct their foot position. A wrong foot position is a common issue, and can decrease the control and pressure the rider has on the stirrup. While they look like normal boots, the prototype has an accelerometer and gyroscope under the insole. When the heel shifts upwards sensors inside the boot are activated, sending a soft vibration to the rider. Riders can choose whether to receive a reminder every time their heel shifts upwards or whether they want to restrict the amount of reminders to a certain time interval. The boot’s battery lasts up to 10 hours before it will need to get charged via the integrated USB port in the sole of the boot. The SmartRide phone app can also save the rider’s foot position to analyze patterns and create trends over time. They can then observe trends of their foot position. Over time, the app shows the user’s improvements to make them work harder to achieve a professional and safe position on the horse. Gallop Equine co-founders Maria Senf and Eucario Matos are attempting to fund production of the SmartBoot via a Kickstarter campaign, where a pledge of $US750 is required to get a pair. Their campaign is seeking $US100,000 for the boot’s development. ← Does the neuropathogenic strain of EHV-1 increase abortion risk in mares?